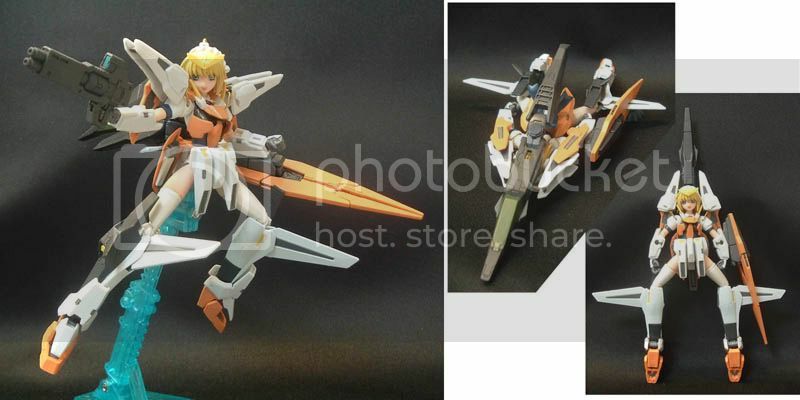 The picture above shows a mecha girl (any ideas who she is?) 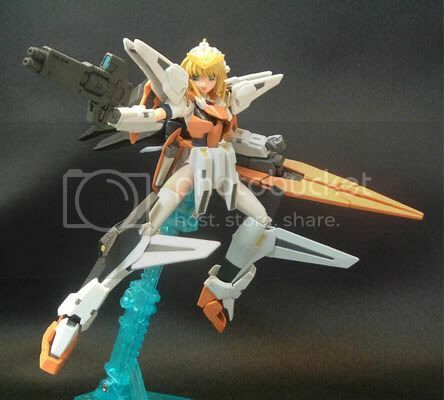 in Gundam Kyrios‘ armour. It can transform too -> click. 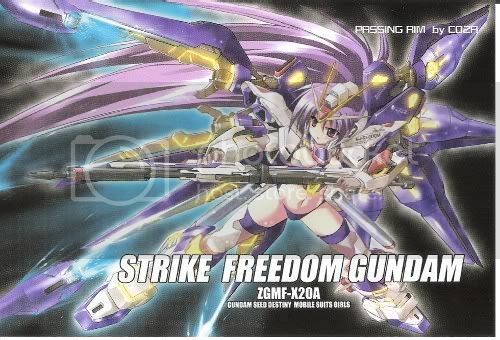 Here’s another mecha girl wearing Strike Freedom Gundam’s armour -> click.